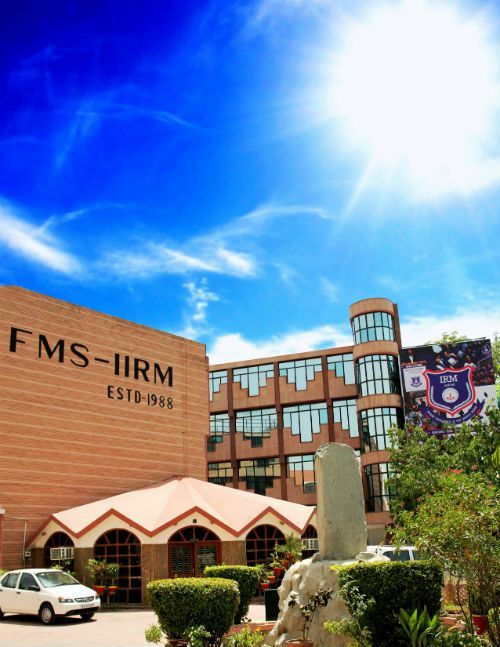 The Faculty of Management Studies, Institute of Rural Management (FMS-IRM), Jaipur , established and led by SIIRM, is a contemporary, smart & innovative institution and a leading research-led B-School in India. It is affiliated to AICTE, MoHRD, Govt. 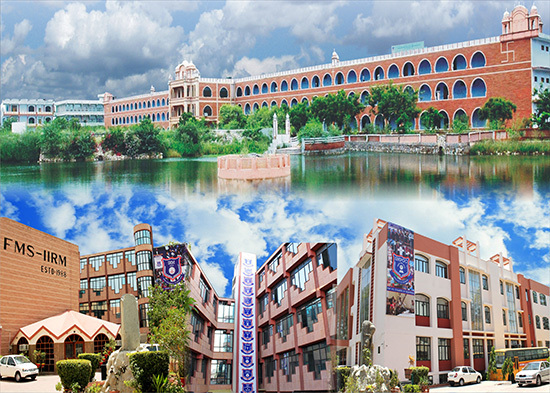 of India and is ranked A+++ among India’s Top B-Schools & 1st among the Best B-Schools of Rajasthan, as identified by various surveys and studies. FMS-IRM is offering Two Years full-time Post Graduate Diploma Programme leading to the academic award of PGDM and PGDM-RM (Rural Management). It has an unconditional commitment to quality education and research in topics that are forward-focused and relevant to the development sector and corporate world. FMS-IRM has a proud legacy of advancing the careers of the students and transforming organizations towards a better tomorrow. FMS-IRM has taken the lead role to develop the discipline of “Rural Management” and “Rural Marketing” which are emerging as the corporate catchword of the 21st century in developing nations. Our highly esteemed academic leaders and faculty members are committed to lifelong learning which is reflected in their leading thinking and practices. The academia organizes campus based Management Development Programmes (MDPs), Corporate Trainings, Business Seminars and Conferences on a regular basis. At FMS-IRM the students gain the highest level of knowledge, business acumen and skills to achieve a right place in this increasingly challenging business environment. Management Gurus, corporate leaders and political head honchos from India and abroad are visiting FMS-IRM for interaction with its burgeoning managers, on issues of contemporary importance, from time to time. In addition, FMS-IRM organizes thought leadership lecture series with the participation of top notch business leaders and social thinkers for the benefit of its young managers. This would help the managers-in-making to upscale their thinking and perspectives on business and development sectors and to reach out to a global canvas. As a sign of its social commitment and new age thinking, in the year 2012, FMS-IRM has instituted a Global Business Leadership award in the name of its founder Dr. Thomas Cangan. The first recipient of the award was Shri. Anil Agarwal, Chairman of Vedanta Group, followed by Prof. (Dr.) UpinderDhar, Group Addl Vice Chancellor – RBEF & Pro Vice Chancellor for Management & Allied Areas, Amity University Noida and Mrs. Neeta Boochra, Former National President, FICCI Ladies Organization, Dr. L.N. Bhagat, Immediate Past President, AIMS & Group Director, S.N. Sinha Institute of Management, Ranchi and Dr. Tessy Thomas, “Missile Woman of India” DG (Aero), DRDO, Ministry of Defence. To be a global leader in creation of a knowledge society through quality management education and research. To provide quality management education with emphasis on rural development. To foster ethicality, social responsibility and sustainable development of all stake holders through inclusive growth. To disseminate skill based knowledge for grooming entrepreneurial talents & sprucing start-ups. To encourage research by providing state-of-the-art facilities at par with international standards. Firm commitment in all under takings for the students & faculty members. Honesty, integrity, ethicality & transparency in all tasks undertaken for the stake holders. Persistence, perseverance & diligence to achieve the best results. Innovation in all practices for value addition. Provide widely recognized leadership in management education, research and development. Help to prepare corporate and development professionals recognized for their quality, competence, service, outreach, and leadership. Enhance the commitment of faculty, staff, and students to the centrality of academic excellence, professional expertise and leadership. Provide leadership in the development of collaborative relationships with government, developmental organizations, and corporate sector enterprises.